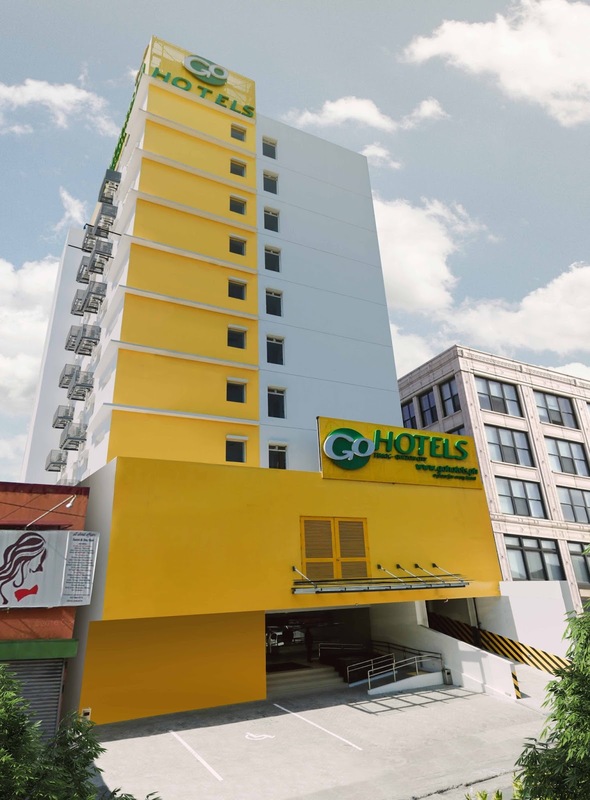 Go Hotels opened its hotel in Timog Quezon City offering its world class amenities in the central business district and entertainment capital of the Philippines. 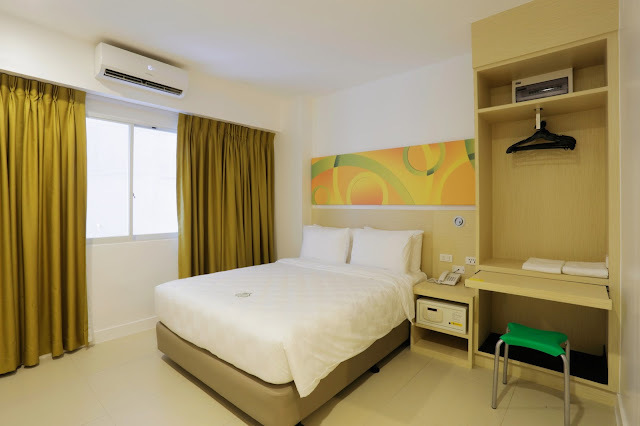 Go Hotels is one of the Philippine’s leading budget hotel chain in the country. 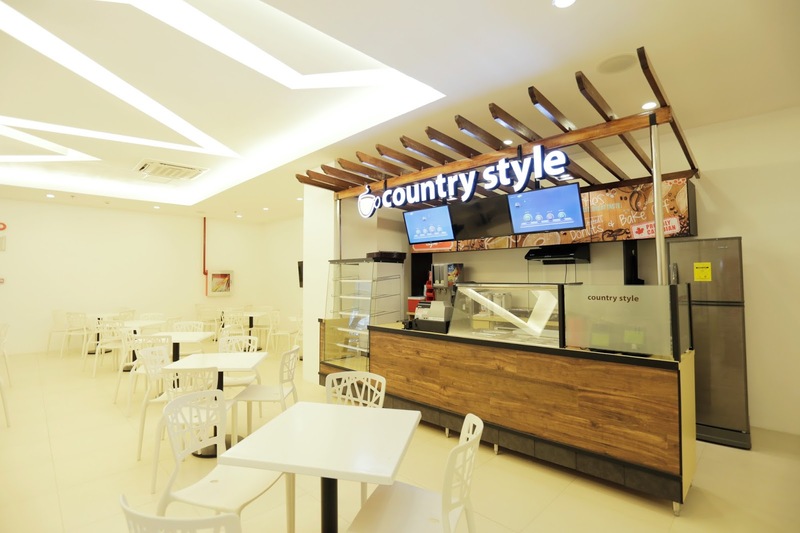 "The Timog-Tomas Morato corridor and nearby Scout areas are home to the best and eclectic cuisines and restos and also to hundreds of businesses. People will never get tired of entertainment options since good spots such as night clubs, comedy bars and watering holes also dot this area in Quezon City, the biggest city in Metro Manila. The place is also known as the broadcasting hub of the country as GMA and ABS-CBN, two of the top TV stations hold office here," says JJ Montinola, Assistant Vice President of Roxaco-Vanguard Hotel Corporation, developer-operator of the hotel. From left to right: Mary Grace Bartolome-Area Operations Manager, Roxaco-Vanguard Hotel Corp; Santiago Elizalde-President and CEO, Roxaco-Vanguard Hotel Corporation; Elizabeth Kristine Gregorio-General Manager, Robinsons Hotel and Resorts and Julio Jude A. Montinola - Assistant Vice President for Business Development, Strategic Planning and Communications, Roxas & Company, Inc.
“Our rooms have amenities such as LED cable TVs, safety deposit boxes, in-room phones, twin or queen Windsor beds, luggage storages, compact work stations and individually controlled air conditioning. 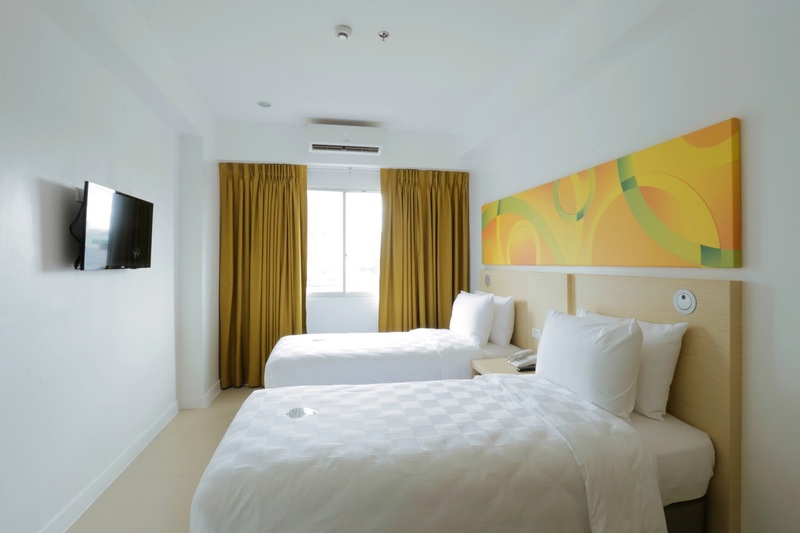 We guarantee that our guests will get the friendliest service and comfort while staying in our hotel. Our quick meals are provided by one of the country’s top coffee chains, Country Style Café while laundry services are provided by Far Clean and spa services by Venus Touch Spa ” Montinola added. During the recent launch, the VIP guests and media were treated to a sumptuous cocktail dinner. The media were then given a tour of the hotel facilities and rooms after the press conference.